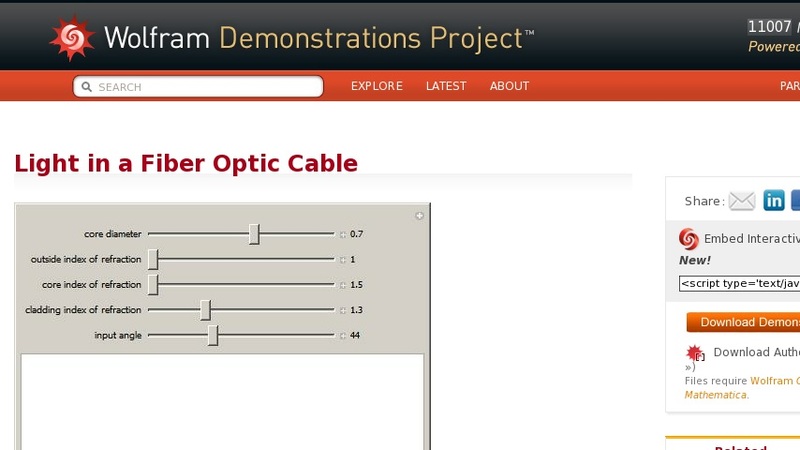 This Demonstration shows how a ray of light passes through a multi-mode fiber. The light-gray inner rectangle represents the core of the fiber, while the dark-gray outer rectangle represents the cladding. In situations where the light does not pass through the fiber, a text message will explain what went wrong.